Hello LDV readers! Brendan here of B.A.D | Blog About Design. For today's Jet Set post I've decided to take us to the wonderful country of Italy. Italy is a country rich in history, culture, art, everything! It has to be one of my favorite countries to visit. 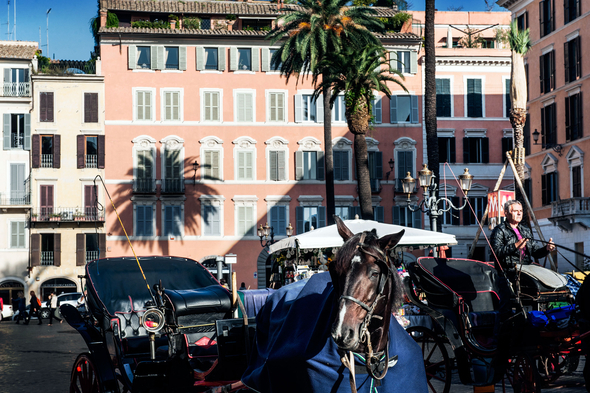 The Piazza di Spagna 9 located in Rome is hands down the place to visit. 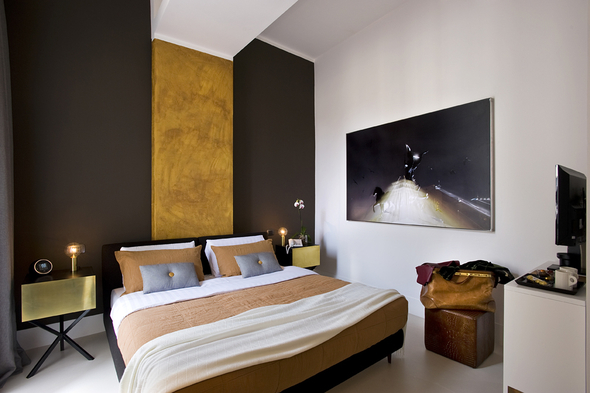 The hotel prides itself on being not only a hotel, but also an art gallery. That's right folks, if you find something you like while staying here you can actually buy it. 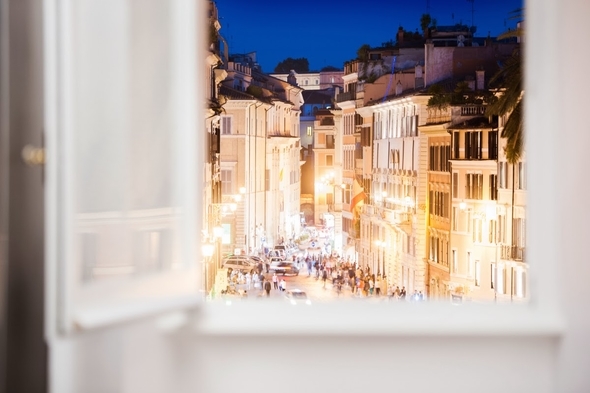 The hotel is located right in one of Rome's most famous squares. The exterior of the hotel is far more classic while the interior is more modern. The front check in desk is very minimal. The hotel is pretty minimal in design and that's because you can purchase any piece you like. The hotel is defiantly small with only six suites. This lobby area if full of gorgeous pieces. I'm a huge fan of the deep suede armchairs, and retro console table. 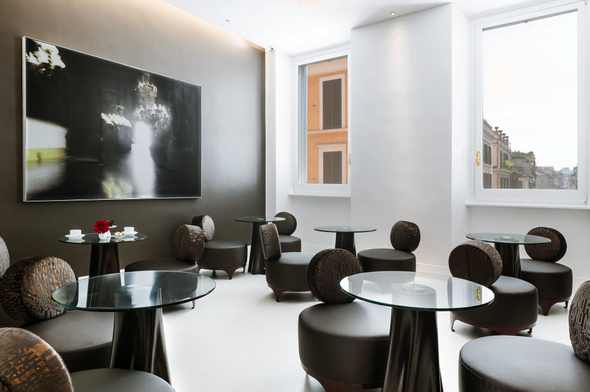 The hotel features a small cafe area where guests and art watchers can enjoy some treats. The view from the cafe most be beautiful! This window is located in one of the six suites. Can you image opening your window to this view? What a convenient location! The suites are minimal in design. Being that you're in Rome, I doubt you'll be spending much time here. I do like the small lamps on the bedside tables. I wonder if you can buy things in your suite as well? This large window faces out onto the city. I'd love to roll over to this view while I'm staying in Rome. 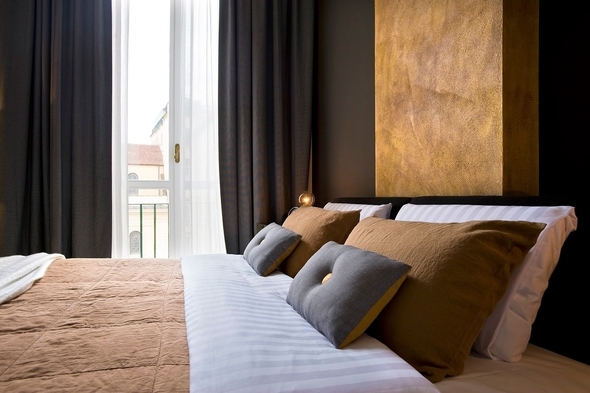 What do you think of this boutique hotel? Would you stay here or have you already? Fabulous post making me miss Italy so very much!